Official - Getting the Purple Freedom! Partner Badge/FULL Forum Member | Freedom! Discussion in 'Frequently Asked Questions' started by Koala_Steamed, Mar 7, 2016. Welcome to the Freedom! forums. Now that you have found our forums I am sure you want to go right ahead and start posting about your wonderful channel. The advertising sections of the forums are currently available for full members and partners only, so this thread is here to let you know how to become a full member. Those of you that are partnered with Freedom! have access to all parts of the forum. In order to obtain one, all you have to do is simply log into your Freedom! Dashboard and go to your Profile and click on "Linked accounts"
Simply just click on this link. *If you are using log in through social media accounts, click on the "here" link and set a password for your forum account. And that's it! You'll receive your Partner Badge instantly if you are already partnered with Freedom! If by some rare instance, it would not work for you, you can resort to the old method. Just follow the simple instructions below and you will have your banner and access in no time. 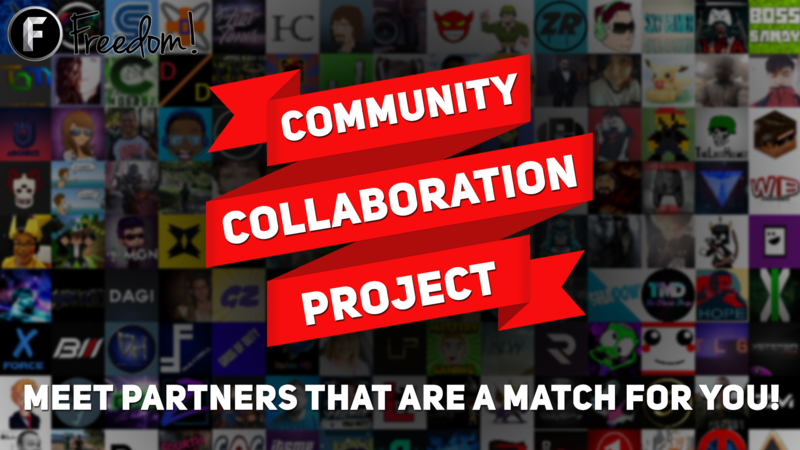 It will then take a couple of days for our staff to verify that your channel is partnered and you will be issued with the purple partner badge. If it has been 3 days and you have still not received your badge, then please submit another application as they can sometimes get lost in transit. If you still do not receive it after another 3 days, then please contact an administrator regarding it, or make a post in the support section of the forum. Once you have the badge you will have full access to all sections of the forum. If you are not a Freedom! partner then you can still get access to most sections of the forum by simply being active. All you need to do is accumulate 30 forum posts around the forums. Please note that not all sections (such as support) add to your forum post count. Once you have 30 posts your account should be upgraded to a full member within 24 hours and you will have access to additional sections of the forum. As always, if you have any issues with anything above, please feel free to open a thread in the support section of the forum and we will aim to help as soon as possible. We look forward to seeing you around the forums. Radj, Somali - Entertainment, Bethris Kornolis and 26 others like this.